Lahti is home to several top innovation research facilities dedicated to engineering the city of the future. Energon is a clean energy research centre on an international scale. It offers an excellent setting for comprehensive research into renewable energy and energy efficiency, as well as for piloting new technologies. 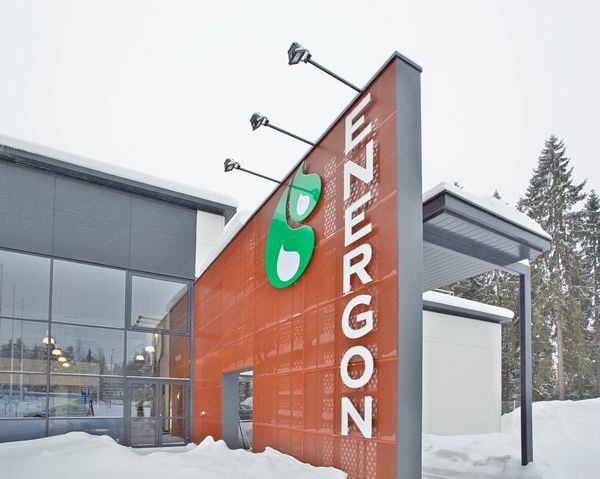 One of Energon’s primary targets is the development and commercialisation of environmentally-friendly products, for example, gaseous and solid biofuels. With Energon’s facilities and equipment, you can develop your technologies into commercial products. Soilia is the first pilot-scale soil research centre in the Nordic countries, offering a unique environment with real-world conditions for conducting basic scientific study of soil, sediments, groundwater and surface water. Kuusakoski Oy has established a research and development centre and laboratory in Lahti to test new ways of sorting materials. The University of Helsinki has laboratories for water research and biotechnology experiments. AlmaLab is a perfect place to carry out training, education and research projects of both companies and universities. Education can be lectures or practical work in the laboratory. AlmaLabcomprises several special laboratories, with a water tank room where diesel fuel spill situations and the possible effects on waters and shorelines can be simulated. Ramboll Finland is a highly experienced partner in all environmental and water related matters. As a Circular Economy specialist, Ramboll is innovatively developing new methods and services for improving sustainable living and growth. Energon is a clean energy research centre on an international scale.